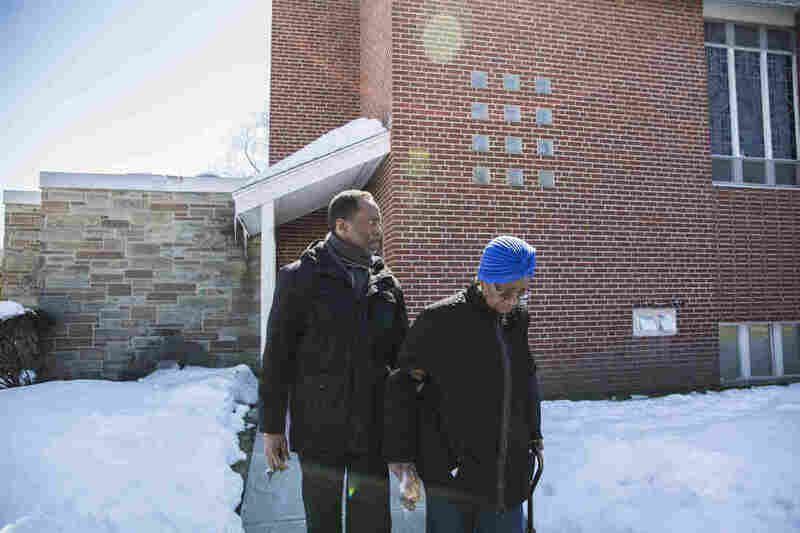 'Strands Of Love' Connects Generations Of An African-American Family : The Picture Show For one year, New York-based photographer Shuran Huang followed the Collins family to church, baseball fields and their family-run barbershop. Left: Ga'verri Jones-Collins, Charleston's grandson, 10, sits for a portrait below an air-brush painting of his great grandfather. Right: A comb Carlton and Juanita purchased at South of The Border in South Carolina, while traveling. When you walk into Collin's Barber & Beauty Shop, it feels like home. There are family photos hanging on the walls, football helmets sitting on the shelves and relics from past generations on display. 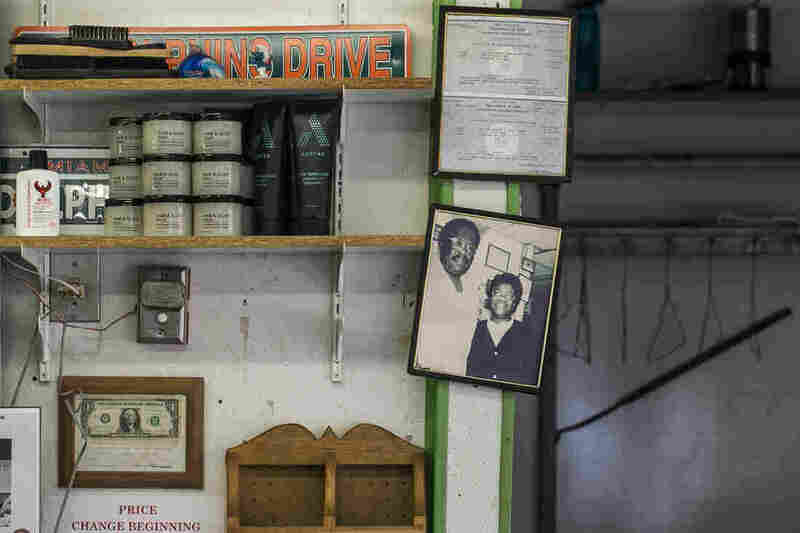 Under a shelf stacked with hair products, tucked into a picture frame, is the first dollar the Collins family ever made from the barbershop on Aug. 3, 1970. 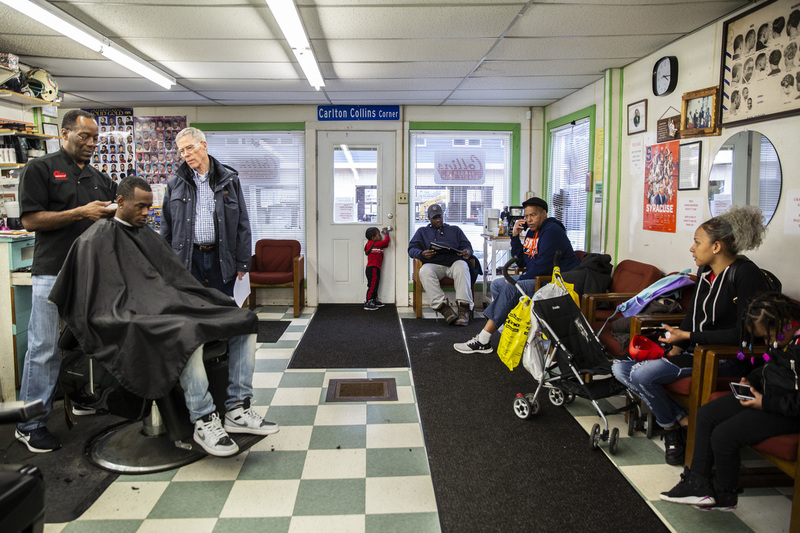 Over the decades, this barbershop in Syracuse, N.Y., has welcomed four generations of the Collins family, countless community members and, most recently, a New York-based photojournalist by the name of Shuran Huang. A 1980s photo of Carlton and Juanita Collins hangs inside the barbershop in the same spot it was taken. Customers wait their turn while Charleston works at his father's old station and chats with Todd Sullivan, a volunteer with the Chinese-American Friendship Association, which partners with Charleston's church. Charleston trims Melvin Rutledge's beard during the One Haircut at a Time event at the Emma L. Johnston Southside Family Resource Center. 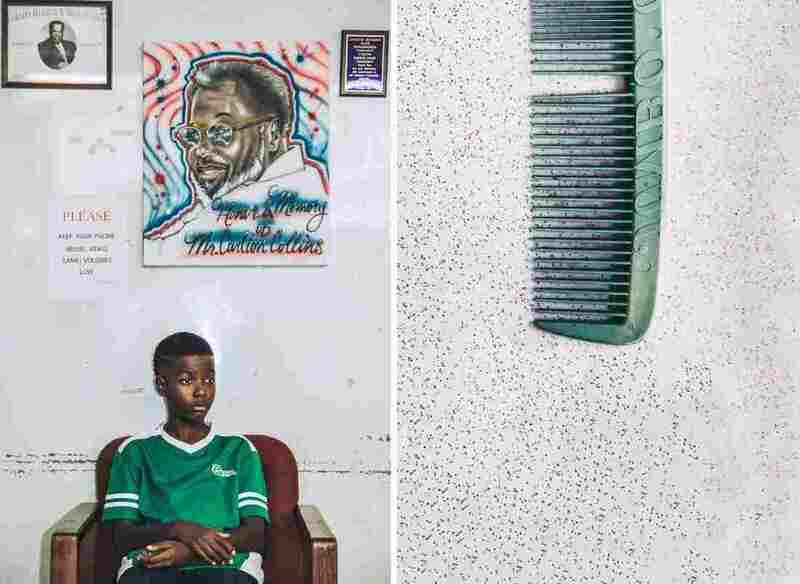 Over the course of one year, Huang followed the Collins family and photographed many aspects of their lives — baseball games, baby showers, church activities, community barbecues and work at the barbershop. 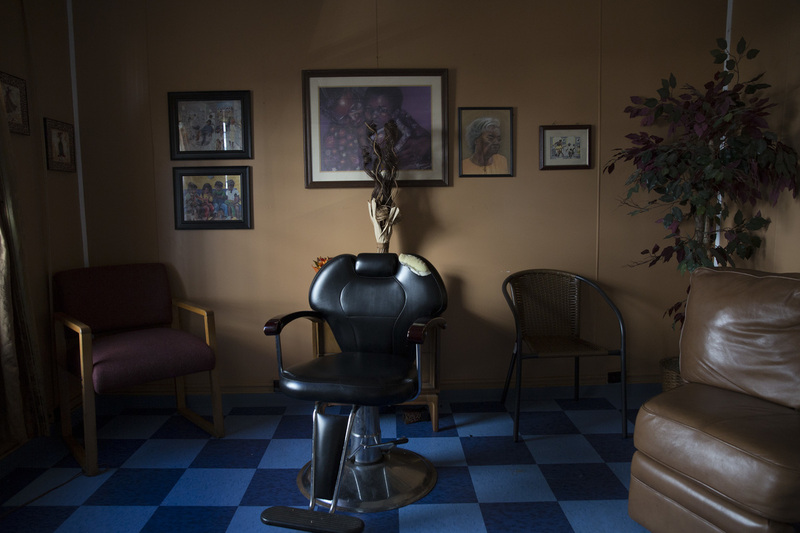 The result of Huang's work was 500 published photos of the family — and the barbershop that she had come to call her home — for her project Strands of Love. 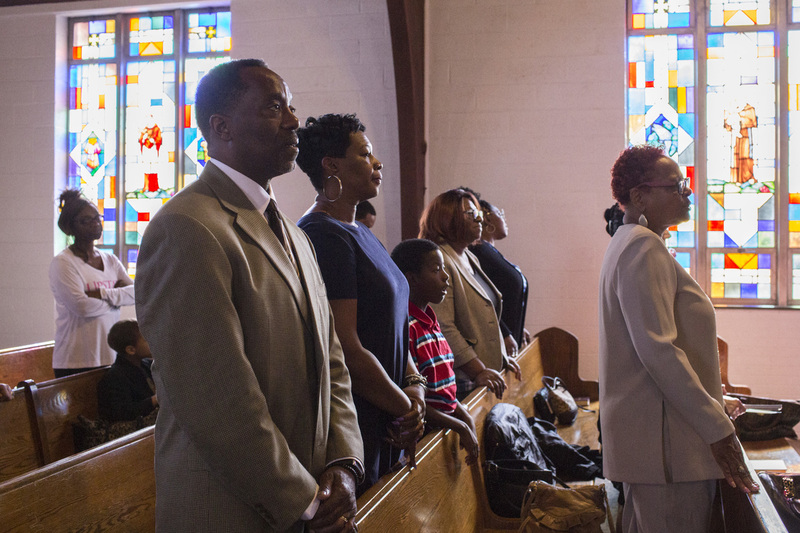 The project explores the importance of faith and family in a careful look at African-American culture. Though she would end up taking more than 20,000 photos during her year with the Collins family, the first time Huang walked into the barbershop, she came without a camera so that she could connect with the family and get a feel for the barbershop away from a lens. Charleston motivates Zion Singletary, 9, between innings. 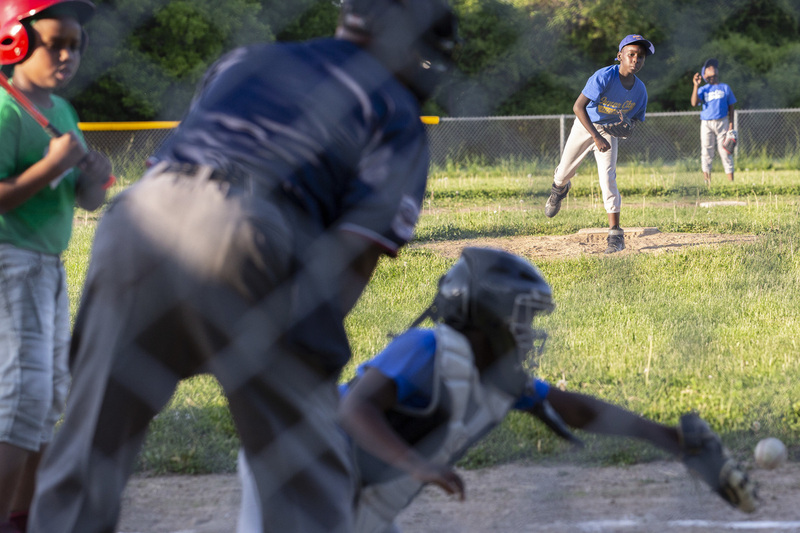 Tahjere Dowdell, 11, throws a few pitches to catcher Ga'verri Jones-Collins between innings. Her first impression when she walked in was that it looked like a family museum. 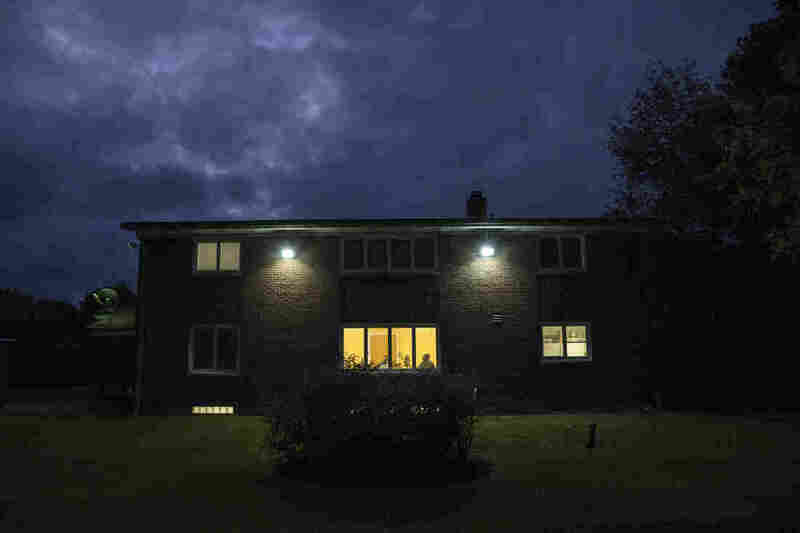 "That really hit me hard, because I grew up in a really modern home," she said. "My parents never really spent that much time with me at home, so I always lost the sense of home and also, like, the connection with my family." What started as a master's thesis to get a photojournalism degree from Syracuse University quickly turned into soul-searching for Huang, seeking to answer the question: What does it mean to call a place home? 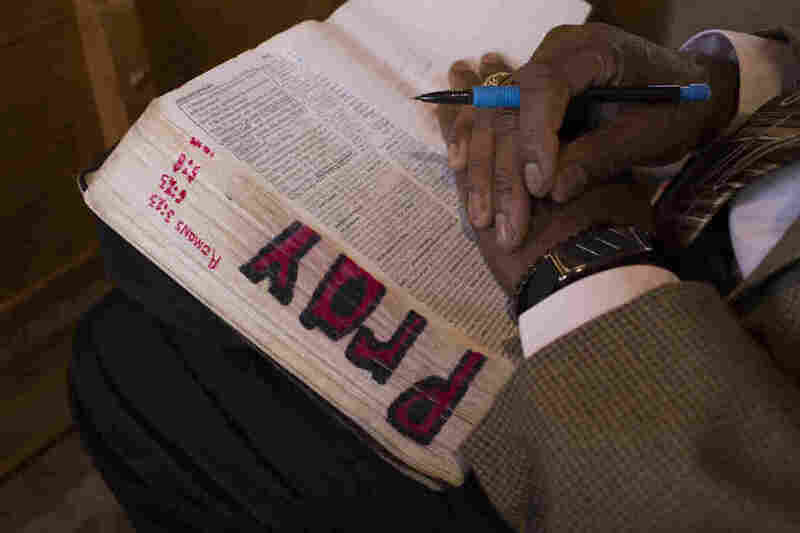 She found her biggest answer in Charleston Collins Sr., the patriarch of the Collins family. Charleston inherited the business from his parents, Carlton and Juanita Collins — who founded the shop — when his father passed away in 2014. At that point, Charleston began to care for his mother, who already had retired from her work in the upstairs beauty shop. Today, he continues to offer support to his mother, seven children and 14 grandchildren. Charleston has stayed with his mother every Sunday and Wednesday since his father passed away in 2014. Here, they watch television together on a Sunday night. Charleston, Mary and their youngest son have been attending Central Baptist Church for about 18 years. Juanita became a member there four years after Carlton passed away. Here, Charleston helps her to the car after a Sunday service. 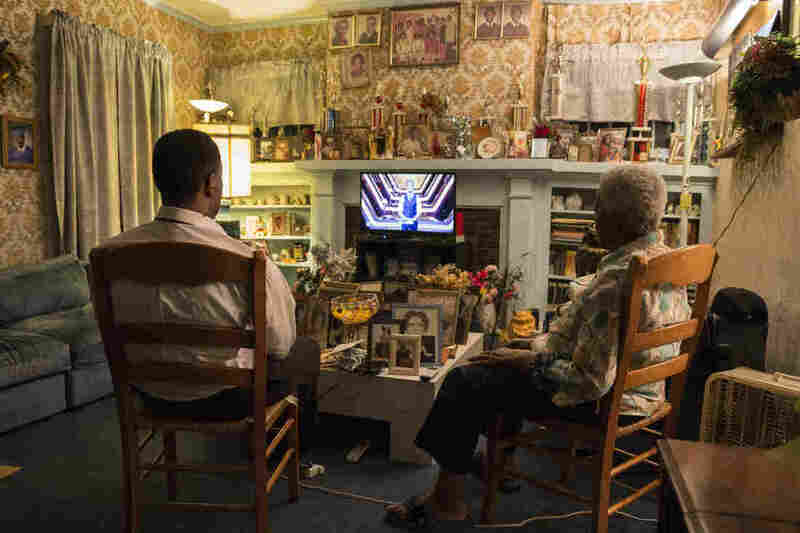 But Charleston's love stretches beyond his own family. 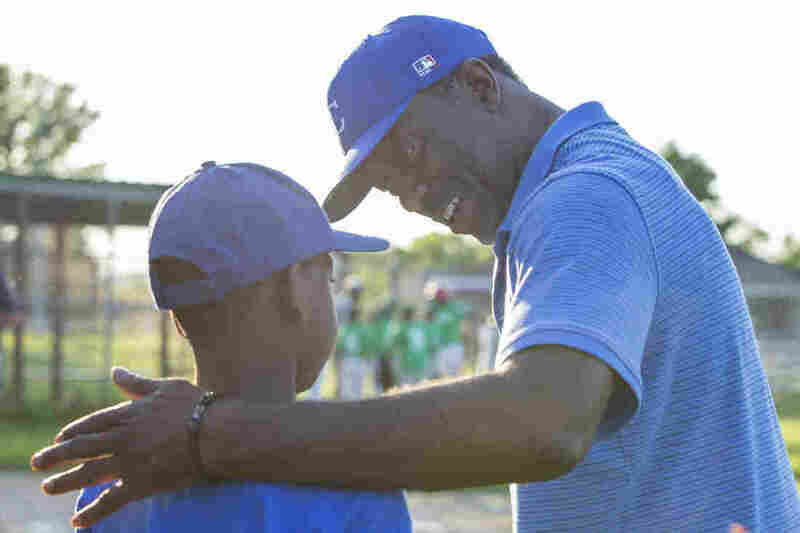 He coaches a little-league baseball team. He serves as a deacon at his local church. 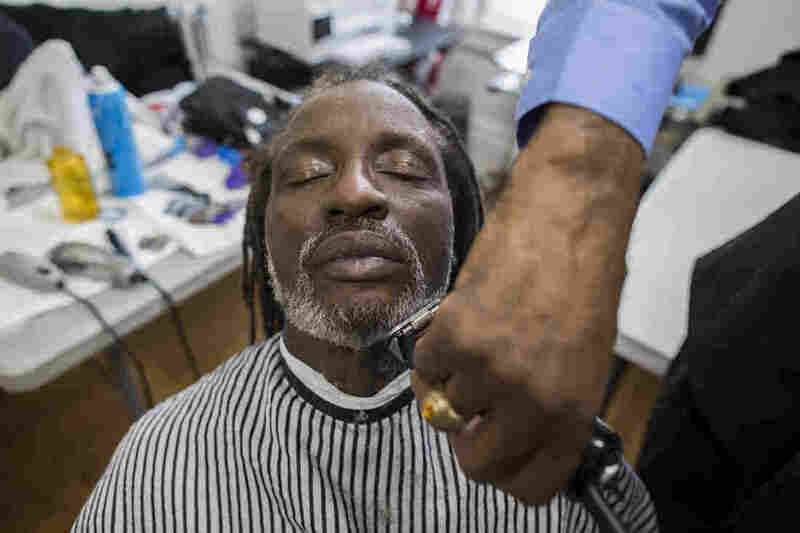 He gives free haircuts to low-income families in the city. He organizes senior citizen barbecues for the community. He also took time to teach personal lessons to a young photojournalist. "He really acted like my father and gave me advice on how to be a better person," Huang said. "This project really changed me." Perhaps one of the biggest changes was Huang's attitude toward religion. She went every week with the family to church, even though she was atheist. "At first, I was so annoyed," she said. "Then, I started to just listen ... I started to really read the Bible with them. Being in the church gave me inner peace, which I never expected to gain." Charleston attends a men's Sunday school session. Ga'verri Jones-Collins attends a Sunday worship service with his grandparents, Charleston and Mary. Now, Huang is a fully converted Christian; she was baptized earlier this year. Her treatment of religion in her photos is reverent, reflecting the transformative role it had in her life. When people look at her photos, Huang said she wants people to see "how close the family is and how powerful faith is." Becoming Christian helped Huang further solidify her bond with the Collins family, to the point where she considers them extended family. Charleston and his wife Mary call Huang their daughter, and she said she never forgets to send them a birthday card or Christmas presents. 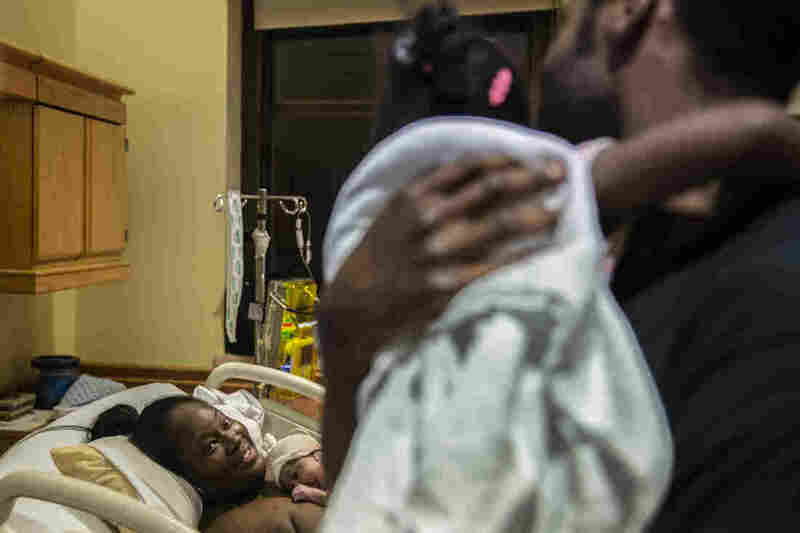 Anthony Williams and his daughter, Ariya, check on her mother, Tanisha Williams, after she delivered her and Anthony's newborn son, Mason. 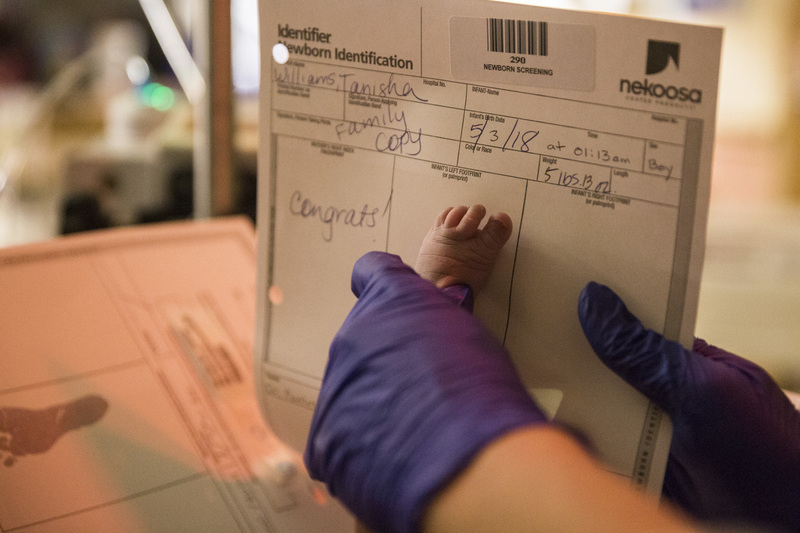 A nurse transfers Mason Williams' footprint onto a birth document. Her intimacy with the family is captured through her lens, making Strands of Love a deeply intimate portrait of the family's four generations. In her photos, Huang captures the triumphs — wrinkled, pudgy toes poking out from behind purple latex gloves as a hospital worker records a newborn baby's footprint — and the hardships — 17 orange pill bottles lined up on the table, each of which is required for Juanita's daily medication. One of the most meaningful items Huang photographed was an old comb that the family hangs on the wall, which Charleston's parents got from South Carolina. The souvenir turned relic is missing one tooth as a tribute to the late Carlton Collins. The barbershop is run primarily by five people within the Collins family. Charleston's wife runs the upstairs beauty salon, which is soaked in orange and other vibrant, fun colors. Charleston, Charleston's older brother, one of his sons and one of his grandsons work downstairs, surrounded by cool tones of green. When Huang tried to capture a portrait of the youngest generation working at the shop — Charleston's 10-year-old grandson — the boy started to cry, causing Huang to stop in her tracks. "I felt so terrible," she said. "I didn't want to photograph him anymore." Charleston quickly explained that his grandson was crying because he was ashamed of the fact that his father had been in jail for eight years. The family felt that recording the newest generation was important, so Huang continued with the photo. In it, Charleston's grandson looks into the distance, sitting under a portrait of his great-grandfather Carlton; the future of the the barbershop may rest on the boy's shoulders. To Huang, it's almost a small miracle that the shop has survived, unchanged, for all these years. Her favorite photo from the past year is a bird's-eye view of the building: a self-contained, historical gray and brick American-style house surrounded by pavement and newer structures. 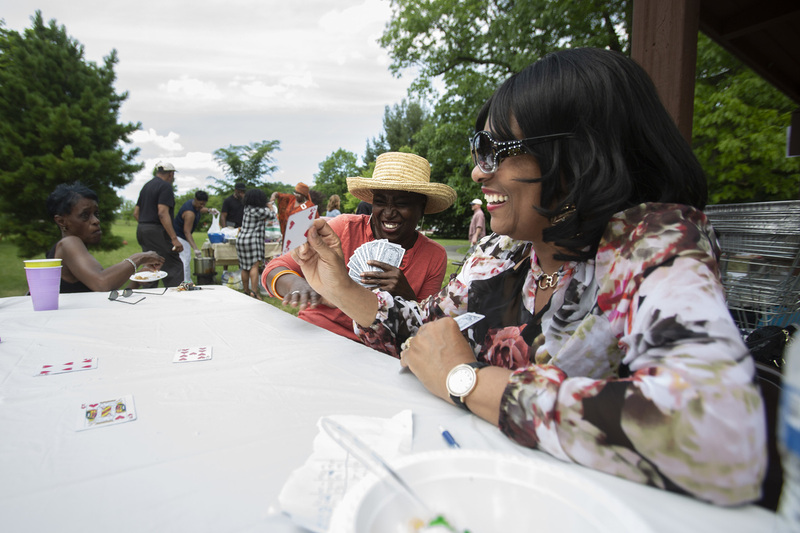 Barbara Coleman-Lyons and Dianne Holmes, members of Central Baptist Church, play Spades at the cookout. 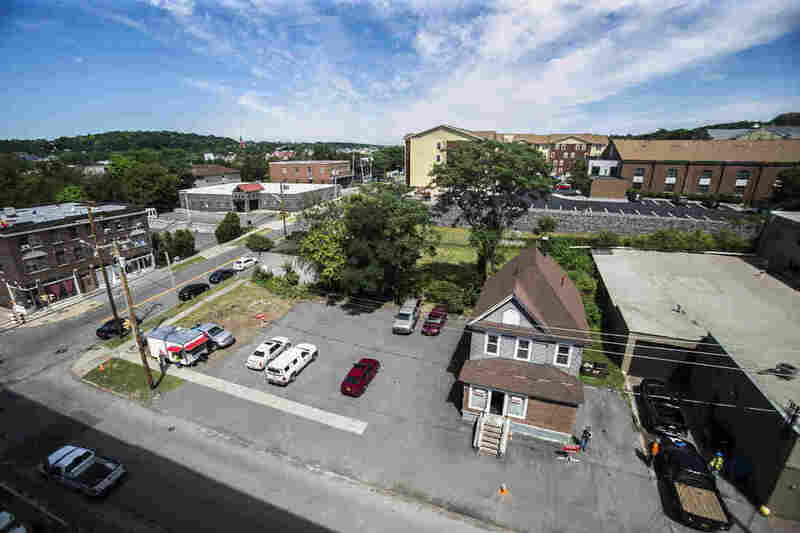 The barbershop, at South Crouse Avenue and East Fayette Street, is around the corner from the site of the original shop. After Carlton passed away, Common Councilor Helen Hudson renamed the spot "Carlton Collins Corner," honoring the family's significant role in the community's history. "Despite the modern changes ... the barbershop still remains as it has since the 1970s," Huang said. "It makes the barbershop stand out and just makes the tradition stand out the most." Even though the barbershop holds a central place in the surrounding community, Huang was surprised to find that local media had never really covered the shop or the family before. She found out about the shop through a friend of hers who gets his hair cut there every week. Once she went, she decided to do a project focused on the Collins family in the hopes of elevating their visibility in the community. But before walking into the Collin's Barber & Beauty Shop, Huang's exposure to African-American culture was very limited. "My experiences growing up in China often isolated me from other cultures," she explained. "I'm always so attracted to new cultures." When Huang started doing photography two years ago, she thought she wanted to become a wedding photographer. Now, the fledgling photojournalist hopes to use her camera to work on projects that explore different ways of life. Her next project is focused on young, Latina, single mothers. With her camera, Huang hopes to raise their voices too. 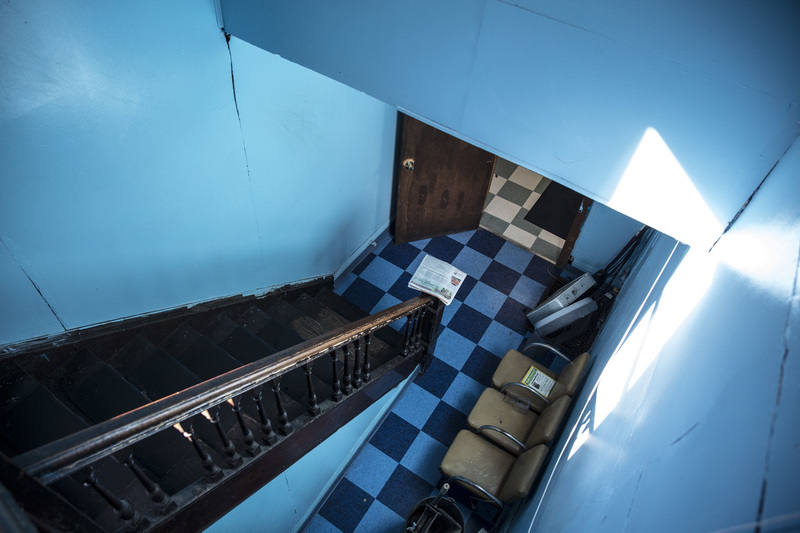 The barbershop's hallway provides access to the beauty shop upstairs. A painting of Juanita hangs on the wall in the waiting area of the beauty shop, honoring her 14 years of work there. In addition to the main sanctuary, the education center at Central Baptist Church is used for Bible study sessions and classes every week.